Get your grill on in the kitchen with this Christmas Story apron. Sure, you may not make a Turkey or fixings quite like the family in the movie but that's a good thing. We know you'll make something delicious. We'll just be sitting right here, waiting for our inviteƒ. 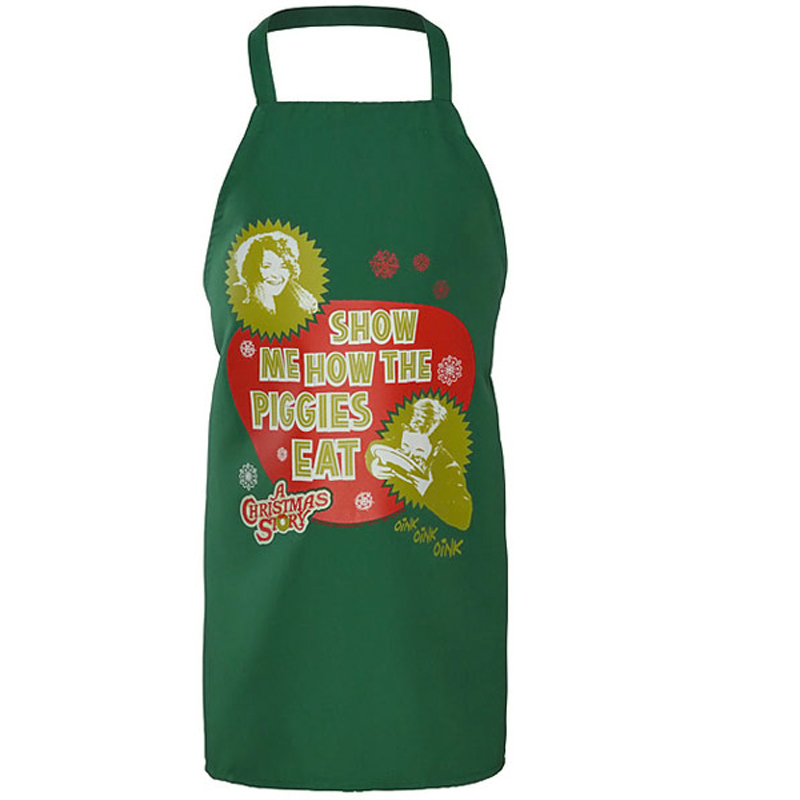 This Apron features the infamous line: "Show Me How the Piggies Eat." Feature: - One size fits most. Measures 34" L. 100% cotton. Machine wash Imported.